Cheese balls are one of the best appetizers to make in my opinion. Take a block of cream cheese, whip it together with a few more ingredients of your choosing, and roll it into a ball. Appetizer done. It couldn't be easier! 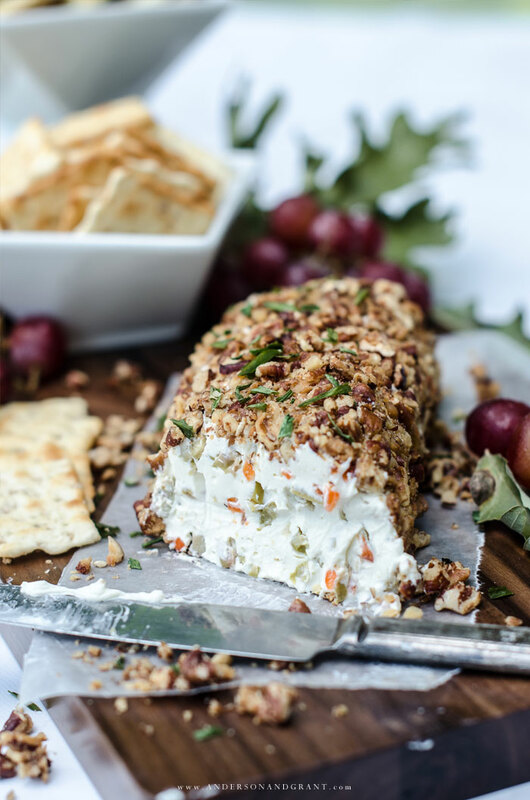 Seriously, though, there are countless options when it comes to creating a cheese ball because you can virtually combine any of your favorite flavors for a mouthwatering spread for crackers, pretzels, breadsticks, or whatever else comes to mind. The combo I return to again and again? Bacon and ranch. So good. When I saw this month's theme, my mind immediately went to olives......which is funny because I don't actually even like olives. But sometimes when you are having guests it is fun to experiment with recipes that they will enjoy, even if it isn't one your favorites. And can we keep this just between you and me? 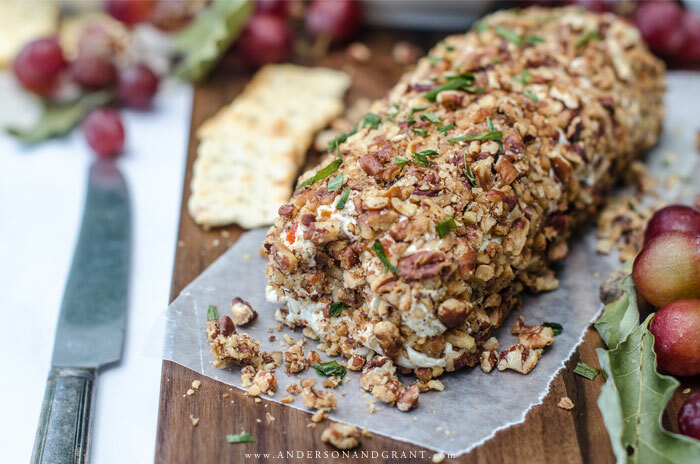 I actually liked this Olive Pecan Cheese Ball. ;) I guess it is all in how particular food is prepared! After ripening through the summer, olives are typically harvested from September through November making them a fall ingredient that many of us don't consider using as much as we probably could. 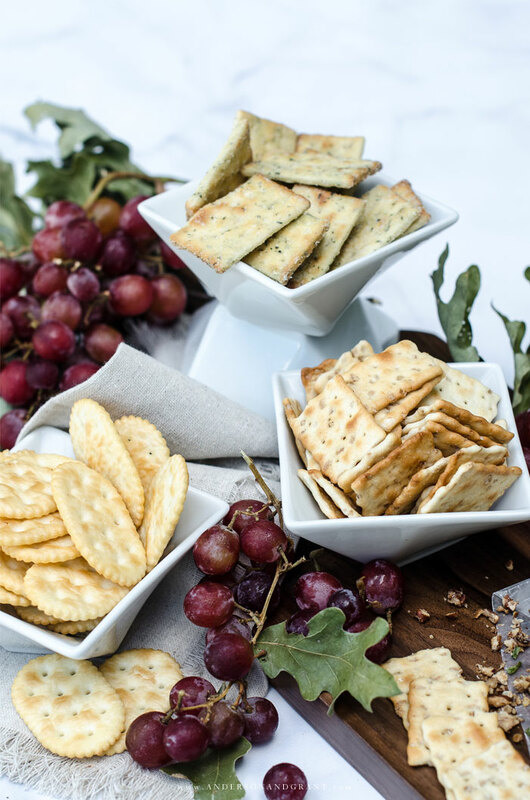 But I think that this cheese ball made with olives and onion powder and rolled in toasted pecans and chives is the perfect fall appetizer when served up with different types of crackers (I loved it most on these Sea Salt & Olive Oil Flatbread), olives, and even some fresh grapes. 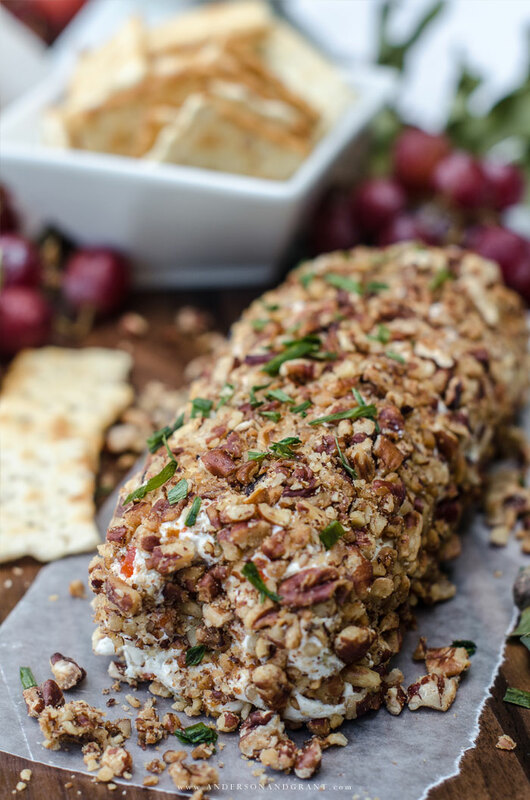 Cheese balls are typically rolled into a ball obviously, but keeping in mind that I wanted to serve the appetizer on a long cutting board, I decided to roll my cheese ball into a log shape. And if you would like to take the fall theme a little further, you'll want to check out my friend Michael's awesome post from last year to form your spread into a pumpkin! 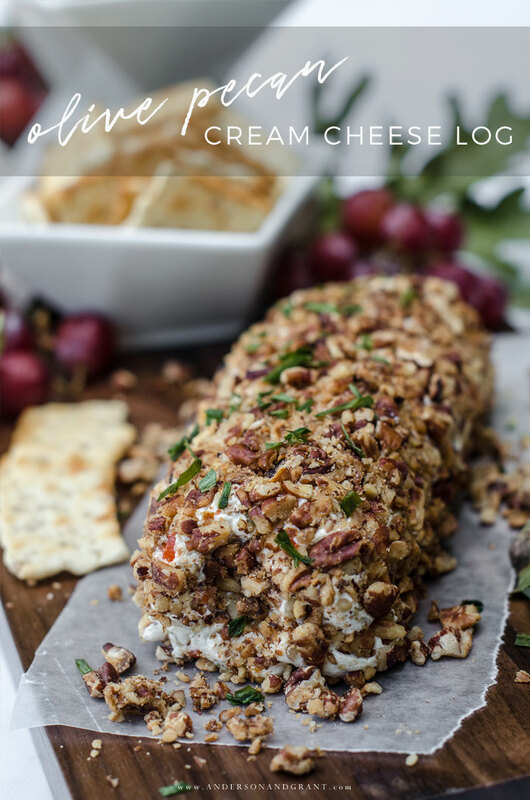 I actually like the idea of forming the cheese ball into log when serving other people because it is easy for everyone to cut off a slice getting a nice amount of the cream cheese mixture along with whatever the coating is on the outside. Alright then....enough talking. 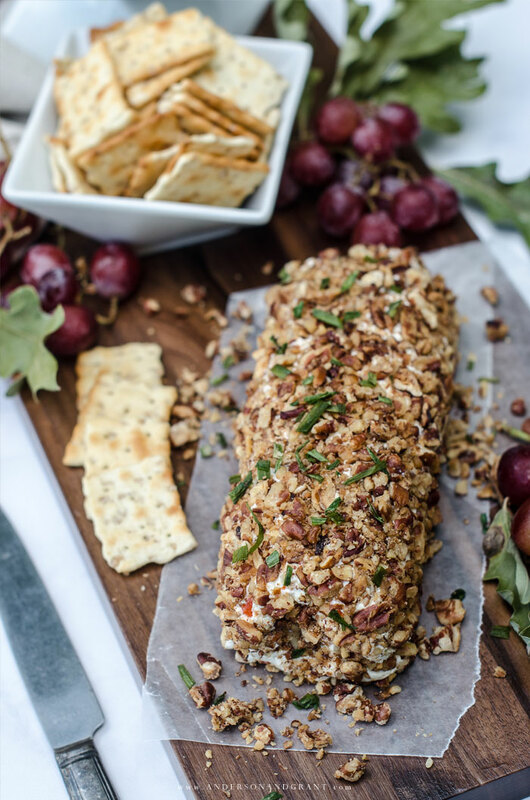 Let's get down to making this delicious fall appetizer, shall we? In a mixing bowl, beat the cream cheese until it is smooth and creamy with an electric mixer. Add in the mayonnaise and onion powder and beat until combined. Fold in the finely chopped olives. Scoop out the mixture onto a piece of plastic wrap and form it into your desired shape. Chill in the refrigerator for at least an hour until the cream cheese is firm. 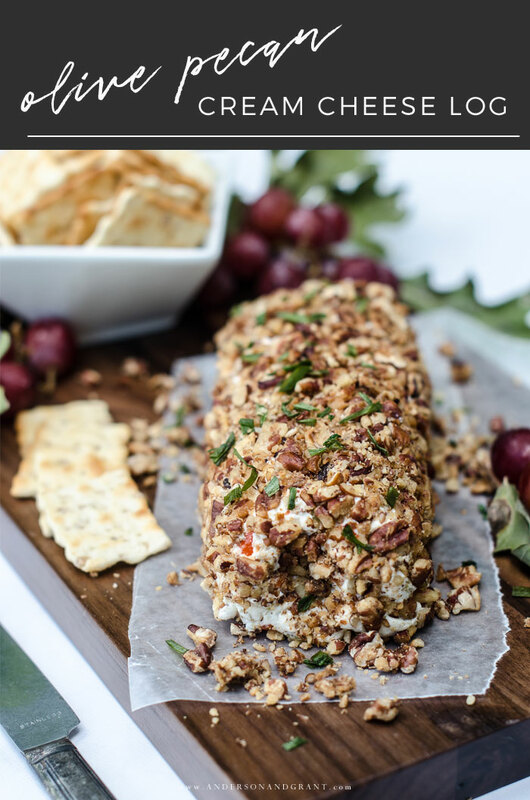 Meanwhile, place the chopped pecans in a single layer on a parchment lined baking sheet. Bake the nuts at 350 degrees for 8 minutes or until lightly toasted, tossing them occasionally to ensure they don't burn. Remove the pan from the oven and allow the pecans to cool for 30 minutes. 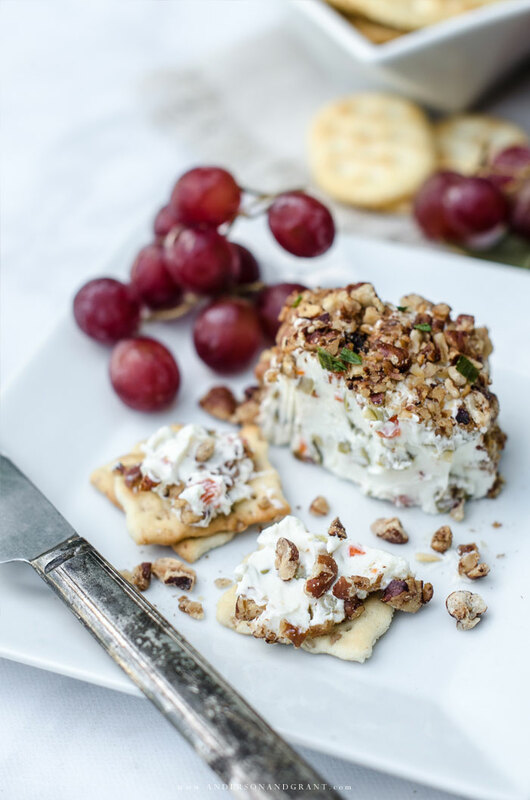 When you are ready to finish your cheese ball, mix the toasted pecans and chopped chives together on a shallow plate and roll the cream cheese ball in the mixture until completely coated. Keep it chilled until you are ready to serve it. 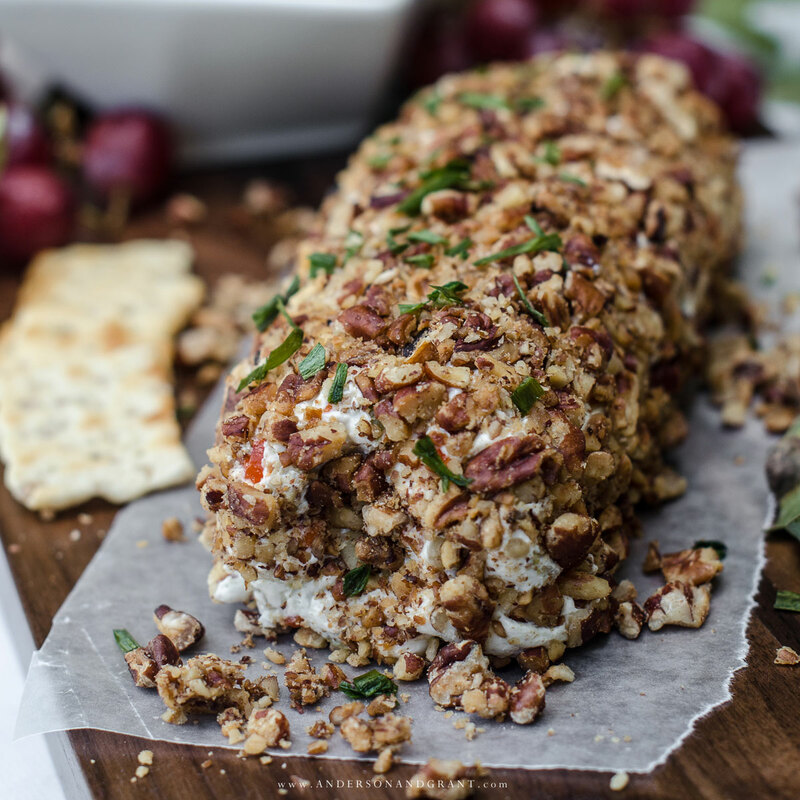 My friends below are also sharing their recipes for appetizers inspired by the fall season. I'd love for you to take a moment and visit some of the links for more ideas!